You are currently browsing the tag archive for the ‘Daedalus’ tag. 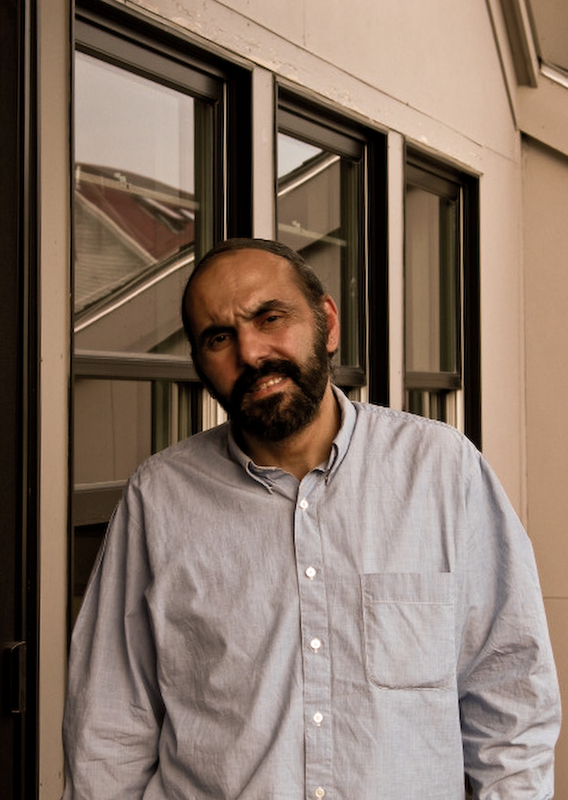 George Kalogeris teaches English Literature and Classics in Translation at Suffolk University in Boston, Massachusetts. He is the author of a book of poems based on the life of Albert Camus, Camus: Carnets (Pressed Wafer, 2006). His poems and translations have appeared in Literary Imagination, Poetry, The Oxford Gazette, Agni, Harvard Review, and elsewhere. He recently completed a collection of paired poems in translation, Dialogos. I can’t say that there was a single definitive experience that drew me to poetry, but three “formative moments” come to mind.The earliest came when I was child, in an elementary after-school Greek language program at my church. We used a text that was a collection of Homeric vignettes, adapted and vastly simplified, from The Iliad. One of the similes described the contending Argive and Trojan armies as being like stones on a seashore, washed over by a wave. In Winthrop, Massachusetts, where I grew up, the ocean was at the end of my street. Walking by the waves, as the waves raked over the stones of the shore, I could hear the clattering sound of shields, and I could see how the stones, with each successive wave, moved barely a few inches, back and forth, like armies in stalemate. Even the foam of the surf was like the manes of the horses, or the plumes of the helmets. Each time I heard the rhythm of the Atlantic’s breaking current the sound washed over me, and I was reminded of the movement of the language, in the simile. Much later I was very lucky to study with Derek Walcott, and from the first line of the first poem he discussed in class (Dylan Thomas’ “Twenty-four years remind the tears of my eyes’”) I knew that I heard the kind of serious, brilliantly meticulous attention to the craft that I had been thirsting for. When Derek brought Joseph Brodsky to our class for a reading, I was thrilled to hear a healthy Brodsky’s spellbinding, incantatory recitation of Auden’s “September, 1, 1939”, and thrilled to feel how much he wanted us to hear how much was at stake, for him, in every word, which crystalized for me in the quavering pitch he gave to the lines: “The lights must never go out, / The music must always play.